Baby is officially on the brain! I am starting to show, I will be 25 weeks on Monday. Time is really flying by! I was a January baby, and Nance always tells me it is a great time of year to have a baby. It’s cold– well, not as cold in Alabama as the frozen tundra of Columbus, Ohio… but still. Once the weather breaks, the baby is becoming more human like. And, when the holidays roll around again, our baby will almost be 1! 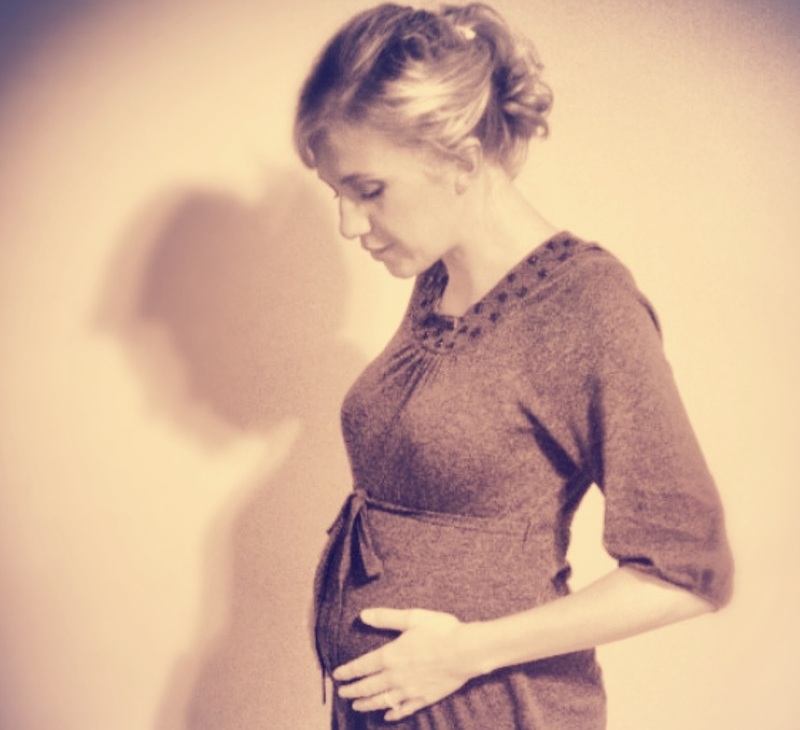 I know I said I didn’t want any belly pics, but babies and Instagram change everything! Jeff snapped this candid of me last weekend. It’s amazing what that app will do to a normal picture. I asked Jeff it would be creepy to frame this… in a small version, of course… for Bean’s nursery. He didn’t seem to think it would be weird, so until the baby tells me it’s trippy to see a pic with him/her in the womb, it’s happening. Speaking of nurseries, I’m jazzed to get a start on ours. In two weeks, I plan on putting my painting overalls on and taking a go at it. (For the record, I do not own painting overalls, and have never really painted a room before). Back in Bama, Nance and Bud are getting settled in their new digs. Bud is actively searching for a building to have his mechanics shop. We all hope he finds one soon… he is antsy without someplace to tinker with his cars, trucks, and motorcycles. Last night, we were chatting on the phone (He’s been in Ohio the last couple weeks)… and I was trying to hang up with him because I was in the middle of being domestic and cooking dinner. He goes: Shana! Wait! What kind of toothpaste do you use? Bud: Atta Girl!! 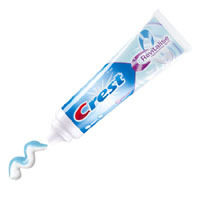 Did you know that damn Crest toothpaste your mother keeps trying to give me causes depression? Bud: You heard me right, its a wonder you haven’t read about me in the papers yet, that toothpaste is making me a loon! I tried to warn her, there is something in it that makes you wanna slit your wrists. I’m back on Pepsodent for life. If she tries to give me Crest again, you’ll know what she’s up to. That is a priceless pic. You know me, tears.